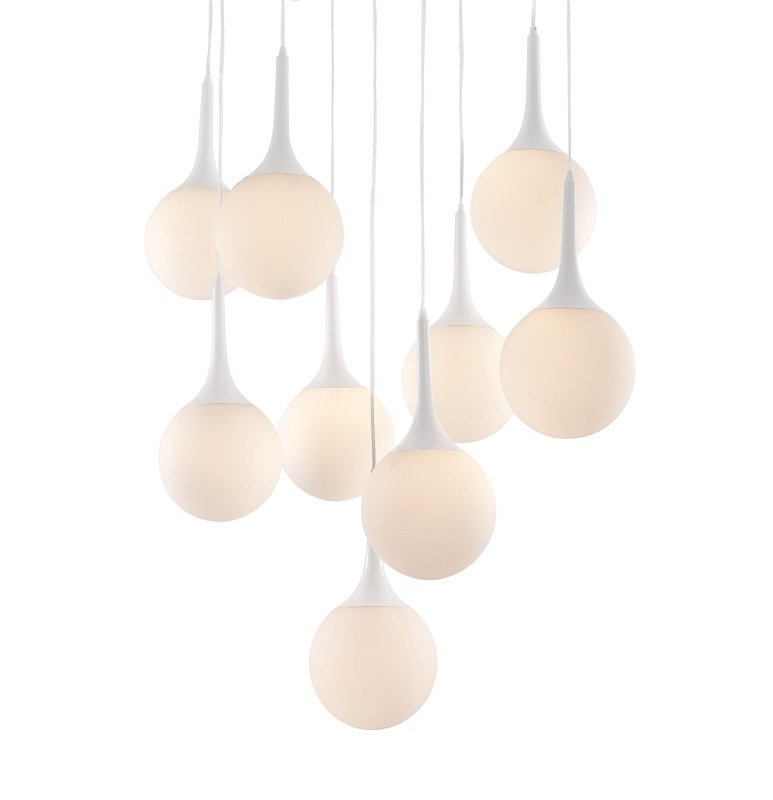 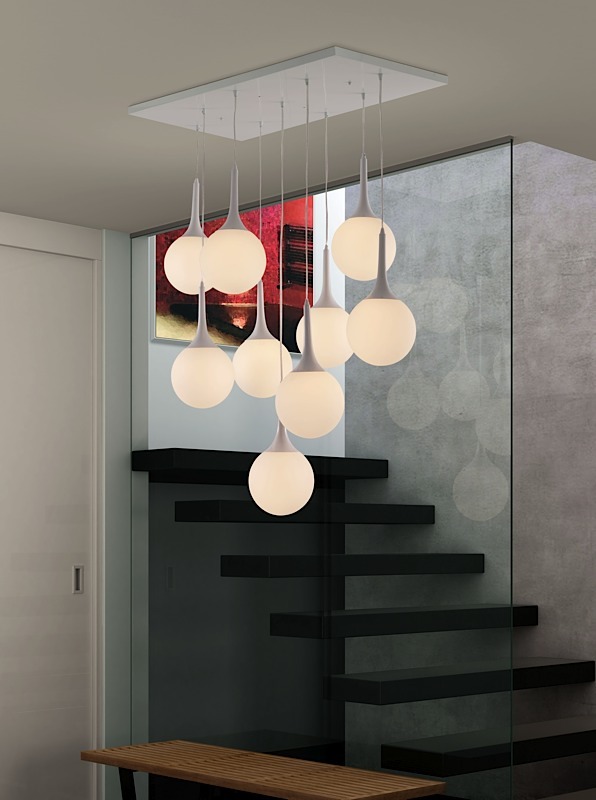 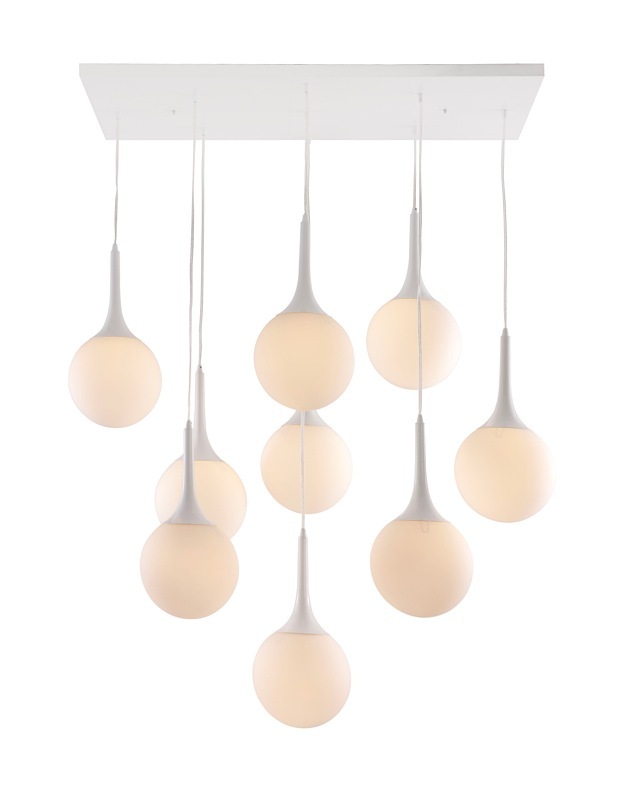 Frosted glass spheres dangle delightfully from a white steel base to create our Ezra 9 Globe Ceiling Lamp. 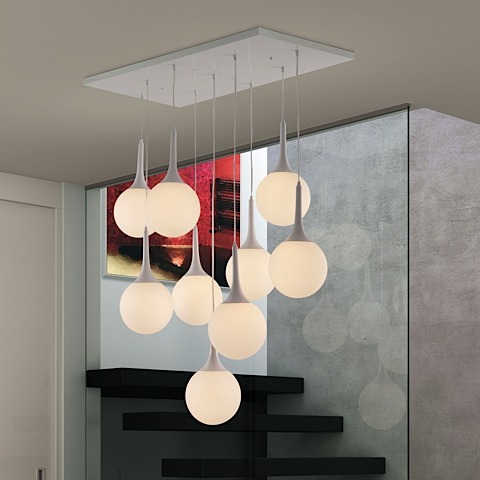 Ezra sports a 35.5 by 20-inch base plate, spacing out nine 6-inch frosted glass globes to give your modern dining space a beautiful ambiance. 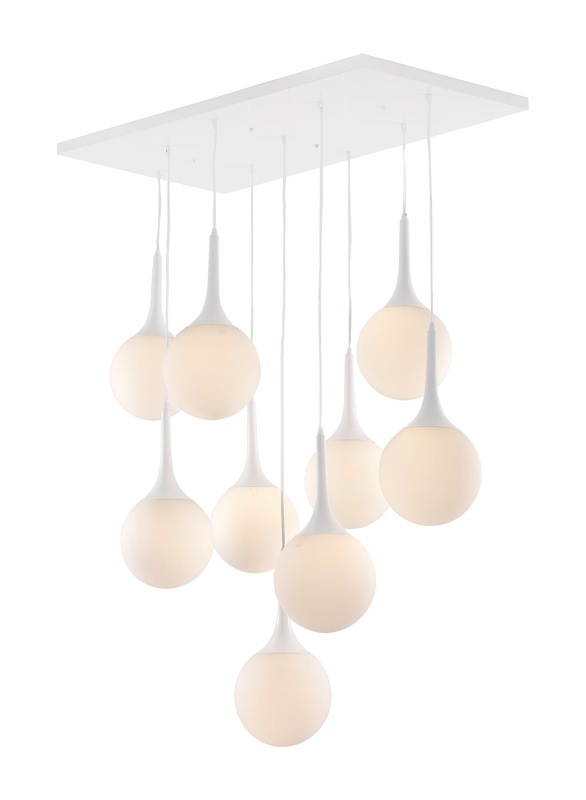 Each globe features a white teardrop base and an adjustable cord length up to 68-inches. 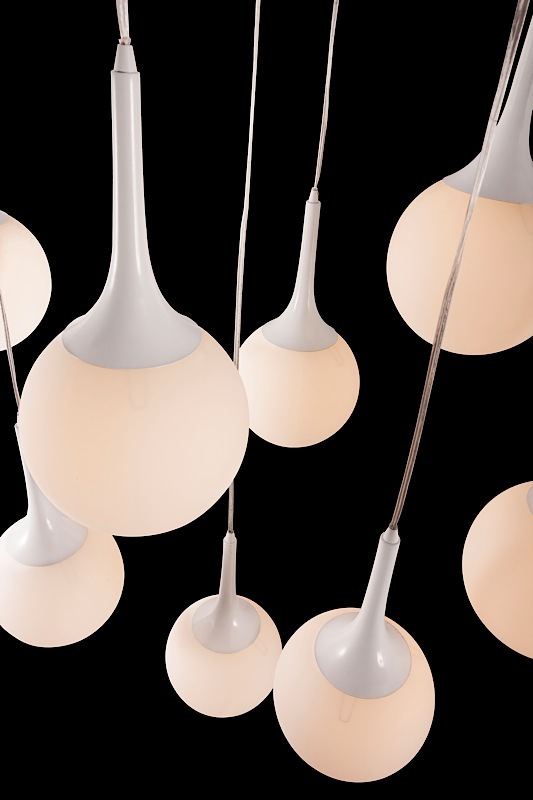 Ezra requires nine (9) type A 25W max bulbs (included).